Would you like a 15.6″ laptop? Would you like that laptop to be made by Lenovo? Would you also like that laptop to be $300? Of course you would, and you would be stupid not to. However, to the typical reader, that seems like a bit of a stretch. That is until you realize that Best Buy is offering this exact deal right now in stores across the country! 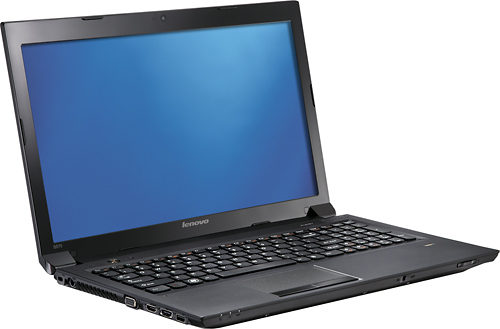 At a very special price that seems like it should only appear on Black Friday, Best Buy is offering the Lenovo B575-1450A7U 15.6″ notebook PC for only $300! What’s even better is that this device, aside from being a top-notch Lenovo laptop, also features the AMD E-Series E-350 processor. The E-350 is a dual-core chip that includes the Radeon HD 6310 graphics. In addition to that, it is also paired with 4GB of RAM, a 250GB hard drive pre-loaded with Windows 7 Home Premium, DVD burner and 1366 x 768 LED screen. However, if that doesn’t cut it for you, there is a newer version of the E-350 available, though the current chip should be good enough for your everyday web browsing, email and document editing tasks as well as 1080p video playback thanks to the built-in HD video decoder. The device itself is fairly portable weighing 5.2 lbs and measuring 1.3″ at its thickest and the addition of a 0.3MP webcam, HDMI, WiFi, four USB ports and a 6-in-1 media card reader make it all the more road-worthy. Considering that the device is mostly a business-class notebook, it does have a fingerprint reader and an appropriately simple design complete with matte black surfaces and sharp edges. Add to all of that the AccuType chiclet-style keyboard with curved keys and the Lenovo B575-1450A7U is definitely worth the $300 Best Buy is selling it for.